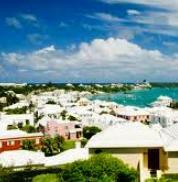 Over the past year, Bermuda has seen a reduction in the number of cruise passengers arriving. Holland America choosing to deploy the Veendam in Boston instead of New York choosing to go to New England Canada instead of Bermuda. Royal Caribbean has also reduced the number of Bermuda sailings both out of New York and Baltimore in favor of Florida and Bahamas cruises. Bermuda lost 4 calls at the island by the Emerald Princess. The change was due to repairs to the Heritage Wharf which meant the the ship would need to tender in passengers instead of docking. Three sailings were cancelled due to the fire onboard the Grandeur of the Seas. 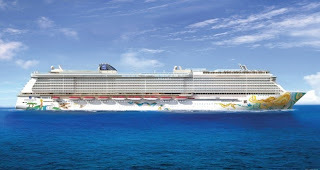 The losses were partially offset by the new and larger Norwegian Breakaway calling at the island and bringing more passengers than the previous Norwegian Gem and Norwegian Star. The second quarter ended with 133,676 cruise passengers arriving. A 17% decrease over last year. Date Set for the 2014 New York Times Travel Show. The New York Times Travel Show will take place Feb. 28-March 2, 2014, at the Jacob K. Javits Convention Center in New York. In its 11th year, the Travel Show invites travel professionals and consumers to experience the latest opportunities in travel. The 2014 Travel Show will open with a Trade Day for travel industry professionals on Friday, Feb. 28. The Travel Show will be open to the general public Saturday, March 1, and Sunday, March 2, with on-site travel experts and special offers exclusive to The New York Times Travel Show. This year’s Travel Show will highlight unique opportunities and experiences in family travel, adventure and cruising, and will feature interactive exhibitor spaces for attendees of all ages, including Q. and A. with on-site travel experts and the Travel Show’s Taste of the World, a culinary stage with flavors from around the world. Travel experts will include renowned travel writers Arthur and Pauline Frommer, travel journalist and host of “World Travels” on National Geographic Adventure Julia Dimon, travel author Patricia Schultz, and “The Points Guy” founder and travel tip expert Brian Kelly. American Express is a founding sponsor of The New York Times Travel Show. To learn more about the Travel Show, visit www.NYTimes.com/TravelShow. Norwegian Cruise Line has announce Inaugural changes for the maiden voyage of the Norwegian Getaway. The new sister ship to the Norwegian Breakaway is currently under construction in Papenburg Germany. The Maiden Transatlantic voyage was to sail from Rotterdam directly to Miami. The Transatlantic crossing has now been modified to sail from Southampton to New York (where the cruise ends). After completing her voyage in January, the Norwegian Getaway has been chartered to provide accommodation for Super Bowl 48. January 29th -> Feb 5th Charter for the Superbowl. February 1, 2014 - Cancelled Maiden Voyage from Miami. February 8, 2014 - New Maiden Eastern Caribbean Cruise from Miami. a dazzling fireworks show at sea, set to music, as part of a dance party in the ship’s outdoor club, Spice H20. the excitement of 678 Ocean Place and The Waterfront, a variety of interconnected indoor and outdoor venues on three dynamic decks that creates a multiplex of dining, activities and more and enhances guests’ connection with the ocean. Waterfront and The Raw Bar. SpongeBob SquarePants, Patrick Star, Dora the Explorer and Diego, among other favorites. Getaway will also include an all new pirate-themed Nickelodeon Kids’ Aqua Park where children can cool off with colorful, whimsical and larger than life Nickelodeon characters from Bikini Bottom. The three-story Sports Complex will feature the Aqua Park with five thrilling water slides, two swimming pools and one of the largest multi-level elevated ropes course that will challenge guests to more than 40 different elements, including a zip track. For a thrill like no other, guests will confront The Plank, a platform that extends eight feet over the side of the ship. A nine-hole miniature golf course is located beneath the ropes course, offering family fun with friendly competition. A rock climbing wall, bungee trampoline and spider web, a 24-foot enclosed climbing cage complete with a spiral slide, round out the activities. staterooms specially designed for solo travelers, to balcony and family staterooms and opulent suites in The Haven, the ultimate in luxury accommodations. Royal Caribbean to Build New Cruise Terminal in Bayonne (Cape Liberty Cruise Terminal). The Port Authority Board of Commissioners approved plans by Royal Caribbean Cruise Lines to build a new cruise terminal building at the Port Authority-owned Bayonne Military Ocean Terminal in Bayonne, New Jersey. As part of its expansion plans, Royal Caribbean plans to base its new Quantum of the Seas vessel—one of the largest cruise ship serving the New York-New Jersey region—at Bayonne beginning in 2014. The new vessel, which can accommodate up to 4,180 passengers, will sail to the Caribbean, Bahamas and Florida. As part of the agreement allowing construction of the cruise terminal building, the Port Authority agreed to extend Royal Caribbean’s operating agreement for the terminal for an additional five years through 2043. The new $70 million cruise terminal building—which will be paid for by Royal Caribbean—includes a 36,000-square-foot check-in terminal, 60,000-square-foot luggage area, parking deck, additional parking, and berth improvements. Construction is scheduled to begin this summer and be completed by October 2014. Passenger volumes at the Cape Liberty Cruise Terminal have grown steadily in the past three years—from 393,000 passengers in 2010 to 476,000 in 2012. Passenger volumes at the facility are expected to increase to approximately 600,000 after the new terminal building opens. This recent announcement has also revived a discussions about building a hotel and other tourist related venues near the facility.